Triathlon bikes and timetrail well as road bikes are designed to be driven on level, paved road surfaces: the streets or bike paths. Their main features: light weight, good aerodynamics, narrow tires and curved handlebars, which gives the rider the opportunity to ride especially aerodynamic seat. Timetrail, triathlon bikes are not designed to operate in groups, they are designed for a single rider overcoming the distance of time. These bikes usually have a special handlebars, high-profile wheels and ultra-sleek aerodynamic shape. 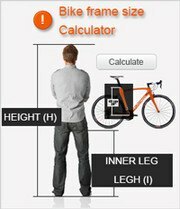 The bicycle rear wheel is very close to the central axis.